Manehattan Project #45: Stable 207 Living Quarters Reveal! Novel here with something cool for you today. As I mentioned in our announcement for the Security Redoubt, there are actually two available player homes. Well, today, you get a peek at the second. Now, I’m not going to show you everything. 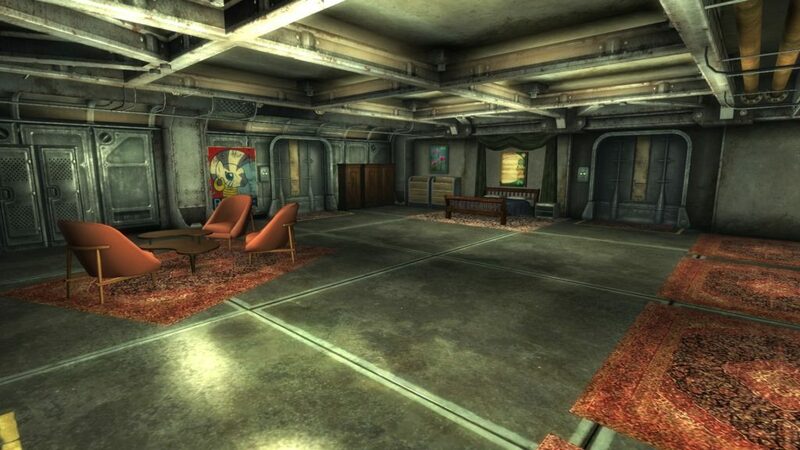 The Living Quarters for Stable 207 is huge and a bunch of screenshots just doesn’t do it justice. But I just can’t wait to show this off anymore! So let’s sit down, sit back and enjoy the ride! 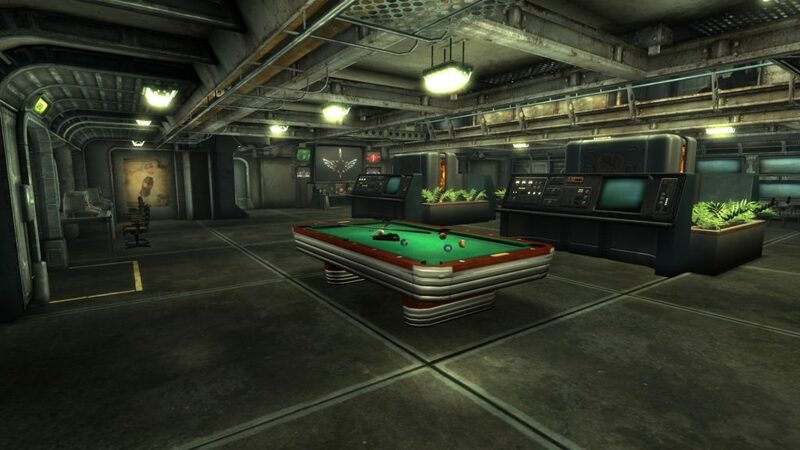 As you know, Stable 207 was designed to be the Stable-Tec communications hub in the post-apocalyptic world. Hardline network connections spanned the country from the nexus point of Stable 207. It was supposed to be the origin for new civilization after the end. The catch was that it wasn’t finished in time. 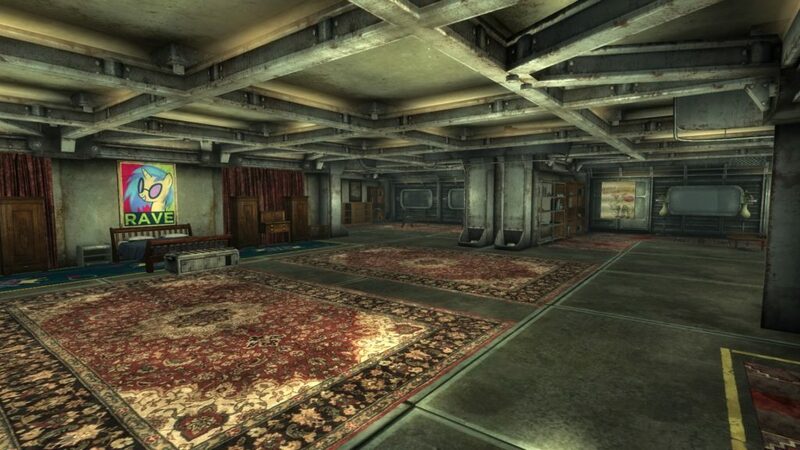 In fact, most of the living quarters weren’t complete. Only the Overmare’s quarters was ever completed, designed for the Overmare and her direct family members. And since DJ-PON3 has made her living quarters far closer to the communication hub on the Stable’s main level, he’s graciously decided to grant you this as a base of operations for your heroics after saving Stable 207 from an invading army! The Overmare’s personal quarters are massive, including a small library, dining area, bedchamber, sitting area and private bathroom. Lavishly decorated with custom imported rugs, a series of posters from some of Equestria’s greatest entertainers and a spectacular view of the immense cavern system Stable 207 was built into. From your secluded reading spot, you can enjoy the latest copy of the Wasteland Survival Guide by Ditzy Doo in total privacy and comfort, looking out into the darkness at the dozens of varieties of glowing fungi in the caves beyond. A view unlike any other, it’s as if you’re staring into the star-scattered void of space from your own private library! Entertainment galore awaits you in the lower level of the Living Quarters atrium. Filled with networked terminals, games and support systems, all tastefully decorated with native living plants and well-preserved post-war artwork. The atrium is the heart of the living quarters, being the gateway to every section of this amazing complex! But what of your companions? After all, your aren’t alone in your quest to unravel the mysteries in the strange reality shifts. Don’t worry, there’s room enough for all in the Living Quarters. 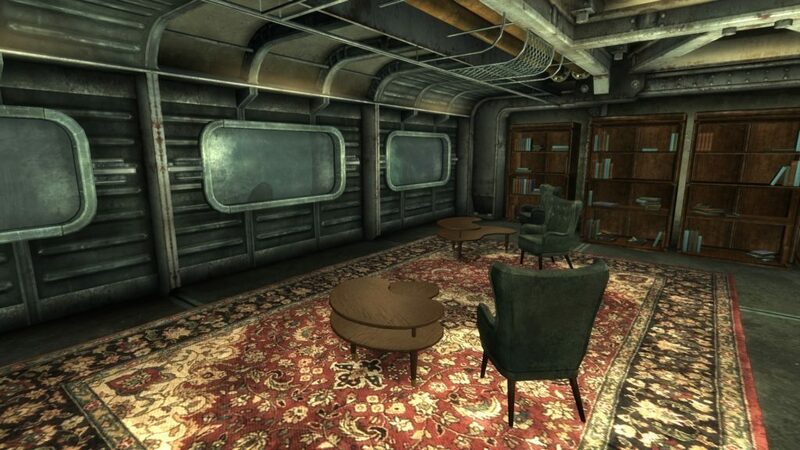 As fate* would have it, there are five smaller living quarters, one for each companion plus one extra, all with tailored decor, a private bath and fully furnished! *Fate may be acting upon the design instructions of others. 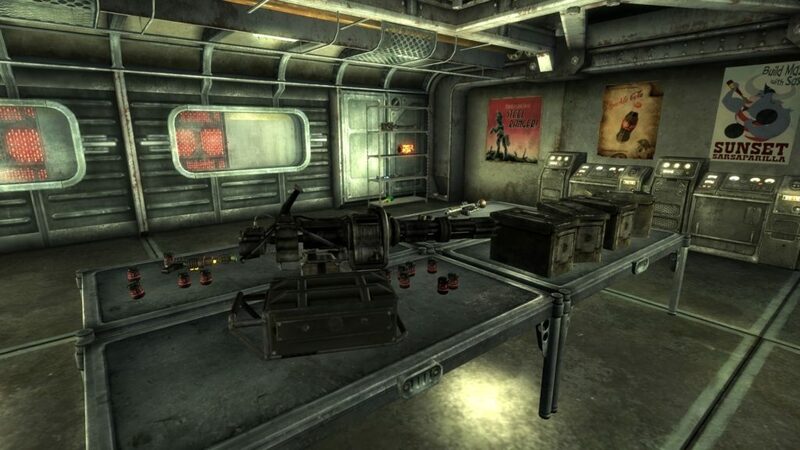 The Wasteland is a dangerous place and Stable-Tec had the foresight to know that. DJ-PON3 has done his part as well, making sure that Stable 207 has a fully stocked and prepared armory. From here, you’ll be able to arm yourself for the greatest battle of your life as you fight to stop dark forces from taking control of the source of the reality distortions. That’s it for this week folks. But I am going to tease one more thing. There is something massive happening right now in the MLP fandom gaming community. Something that has the potential to unite all gamers, modders, game devs and everyone else. Manehattan will be there and we’ve already led the charge, but all the pieces are not in place. Manehattan Update #44: Presenting the Voice Cast of GoE: This Coming Storm! Manehattan Update #46: The Stable 207 Com Tower + FiMFic Covers!